You’re considering bankruptcy because you can’t repay debt, so how are you supposed to pay a bankruptcy attorney $2,000 to $3,000? Bankruptcy attorney Michael Benavides understands that people in Napa County need affordable bankruptcy options. To help clients secure the debt relief they deserve he represents clients in chapter 7 bankruptcy for only $900* in attorney fees. To learn more during a free consultation call bankruptcy attorney Michael Benavides at (707) 200-6688. Many people in Napa County file chapter 7 bankruptcy to eliminate debt. In chapter 7 bankruptcy clients can eliminate credit cards, medical bills, pay day loans, personal loans, lawsuits, and other forms of unsecured debt. Furthermore, the act of filing bankruptcy can stop most creditors right away. For instance, filing bankruptcy will stop a lawsuit, foreclosure or repossession. Chapter 13 bankruptcy involves a 3 to 5 year repayment plan. After clients have committed their disposable income to repaying creditors over 3 to 5 years they receive a discharge that eliminates certain remaining debts. While repaying creditors for 3 to 5 years doesn’t sound preferable to chapter 7 bankruptcy, chapter 13 bankruptcy has some unique benefits. For example, clients can stop foreclosure and save their home in chapter 13 bankruptcy. Likewise, they can keep property that would have been sold in chapter 7 bankruptcy. Filing bankruptcy will immediately stop most creditors. Section 362 of the United States Bankruptcy Code provides for something called the automatic stay, which essentially requires most collection actions to be automatically stopped when a bankruptcy petition is filed. The purpose of the automatic stay is to force creditors to participate in the bankruptcy system, and prevent creditors from gaining an unfair advantage over other creditors by taking the client’s money or property. The ability to immediately stop creditors by filing bankruptcy is a powerful tool. Filing bankruptcy will usually stop lawsuits, foreclosure, wage garnishment, bank levies, and creditor harassment. Napa and Sonoma County has very few affordable bankruptcy attorneys. Many bankruptcy attorneys in the wine country charge more than $2,000 for simple chapter 7 bankruptcy cases and much more for cases involving real estate, businesses, or assets. To help make bankruptcy affordable for clients in Napa County, bankruptcy attorney Michael Benavides only charges $900* in attorney fees for chapter 7 bankruptcy. Of course, complicated cases may require a slightly higher quote, but those cases are few and far between. The vast majority of chapter 7 bankruptcy cases qualify for the low fee of $900. There’s no reason to wait before seeking legal advice from a bankruptcy attorney. 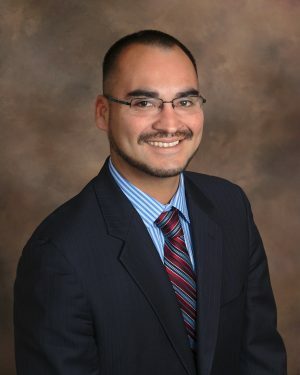 Napa bankruptcy attorney Michael Benavides offers free consultations to prospective bankruptcy clients. You can learn whether chapter 7, chapter 13, or bankruptcy itself is your best option. Some clients should’t file bankruptcy, or are better off engaging in debt settlement. Whichever course of action turns out being your best option, you should get free legal advice as early as possible. To receive a free consultation today call Michael Benavides at (707) 200-6688.